Finding the Best Watch for Sailing is easier than you think. 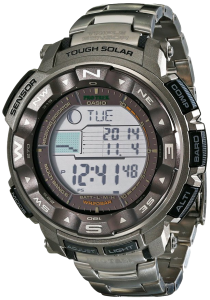 Here’s a rundown of our favorites in stainless steel, sport, digital and hybrid, including our top pick - the Casio Pro Trek Tough Solar Digital Sport Watch. Every sailor needs a tough, reliable watch to aid them in their travels. A sailing watch must be waterproof, keep good time, and ideally have a variety of features that may deem useful on a boat. Today’s marine watches are technologically advanced, allowing sailors to navigate uncharted waters, set alarms, and monitor tidal patterns. For such a small accessory, a sailing watch can provide boaters with numerous advantages. However, choosing the right watch can be a little tricky. 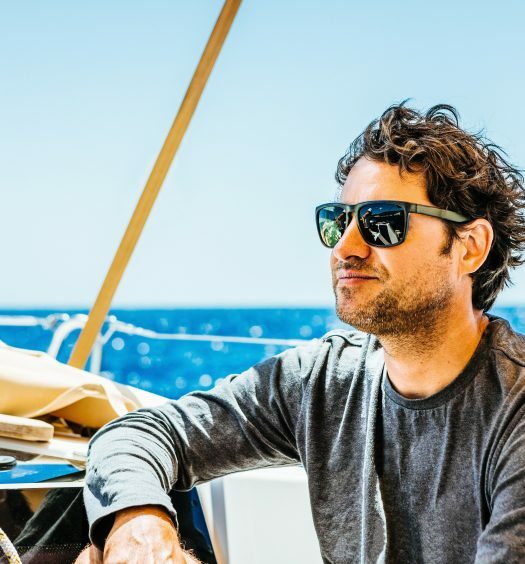 We’ve determined the best watch for sailing to be one that resists whatever you throw at all, whether it’s a hike through the Grand Canyon or a sailing escapade around the French Riviera. Not sure where to start? 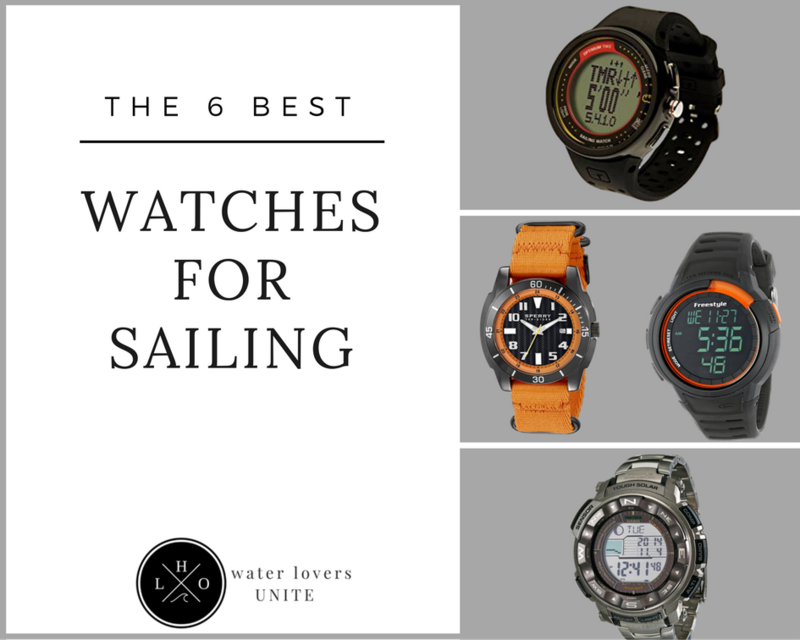 Here are some of the top features to look for in a watch for sailing and our list of best sailing watches currently on the market. Water-Resistance: Of course, water-resistance is a must when buying a watch for sailing. However, not all watches provide the same level of resistance. You’ll want to choose a watch that offers resistance to at least a hundred meters. Case Material: As you’ll be using your watch in an unpredictable environment, it’s important for it to be durable. Opt for a strong and resilient case material, such as titanium or stainless steel. Strap Material: In addition to a durable case, you’ll also want a strong, yet comfortable strap that will not irritate the skin. Straps made from silicone or rubber are great options as they do not absorb water and offer flexibility. Watch Functions: Modern marine watches can be found with a wide variety of functions that provide other tools besides just telling time. Depending on your needs, you can find watches with barometers and countdown functions. Our first choice for the best watch for sailing features every function you could ever want in a watch. 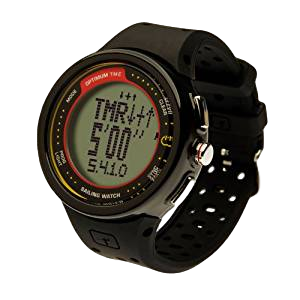 The Casio Men’s PRW-2500T-7CR Pro Trek Tough Solar Digital Sport Watch is a durable, solar-powered timepiece with a digital compass, altimeter memory, thermometer, and barometer. What really makes this watch impressive is its multi-band atomic timekeeping, tide graph, duplex LC display, moon data, and 200M water resistance. The watch also has a battery level indicator, countdown timer, and power saving function. Whether you’re sailing, rafting, or river trekking, your watch will continue functioning at an optimal level. Second time I’ve purchased this watch – love it! As one of Nautica’s most reliable water-resistant watches, you can rest assured that you’ve made a great choice. 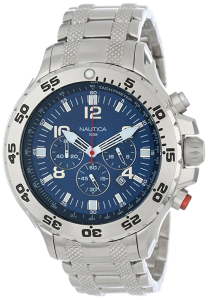 The Nautica Men’s N19509G NST Stainless Steel Watch is ultra-powerful, yet affordable. With a stainless steel casing, round dial, skeleton hands, and a five-link bracelet, this watch is both functional and stylish. The Nautica watch features Japanese quartz movement with an analog display. The protective mineral crystal dial window ensures that your watch remains safe and functioning in any environment. 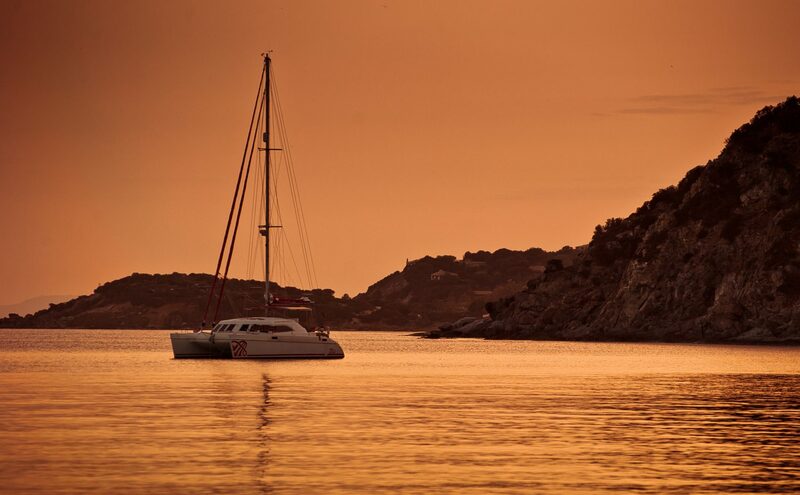 What makes it the best watch for sailing is its high water resistant factor up to 330 feet, which makes it suitable for snorkeling and swimming. Best watch money can buy. Period! With a large digital display, the Freestyle Men’s FS85012 “Mariner Sailing” Sport Watch with Black Polyurethane Band is an excellent tool for boaters who require a fast and efficient timepiece. 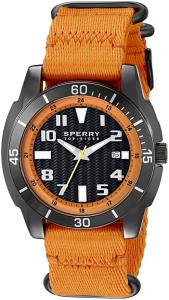 The rugged black sports watch features contrasting orange components. A polyurethane band with ventilation slits offers flexibility and comfort. 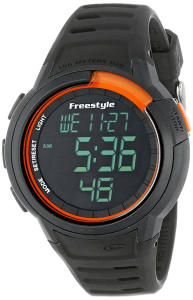 You’ll find a wide range of great features on this Freestyle watch, including a light, stopwatch, night vision backlight, and timer. The watch is also water-resistant up to 300 feet. A buckle enclosure makes the watch easy to take on and off, and a protective mineral crystal dial window keeps the inner compartments safe from moisture. Our next pick for best watch for sailing has a striking style that’s sure to impress any sports enthusiast. The Optimum Time Series 12 Sailing Watch makes a great basic watch for individuals on a budget. In addition to having massive digits, the watch includes the last 59 seconds of countdown. The watch has a comfortable silicone strap that won’t absorb water. The heavy-duty stainless steel buckle keeps the watch firmly in place as you sail, fish, or cruise across the water. The watch also comes complete with a charger that can be plugged into nearly any USB socket. This next best watch for sailing features a vibrant orange band and matching watch components. The Sperry Top-Sider Men’s 10023535 Sharktooth Stainless Steel Watch features a sweeping second hand, textured face, date window, and embossed bezel. The orange canvas band is comfortable and adds security with its buckle closure. The watch is water resistant up to 50M which is suitable for short periods of recreational swimming. With its Japanese quarts analog feature, you’ll know that this watch will last the test of time. The Sperry watch also comes with a limited lifetime warranty. 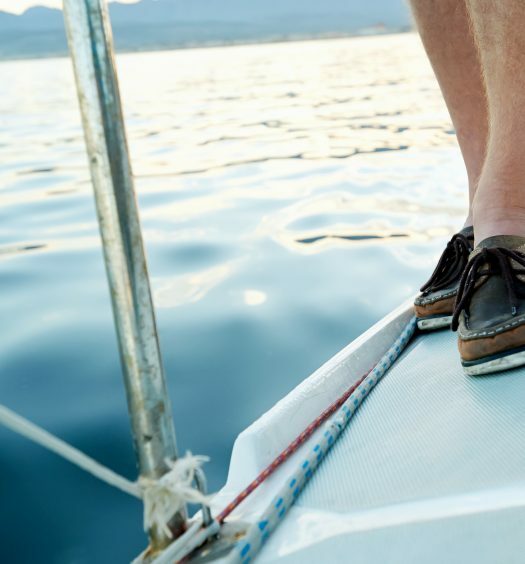 Sperry is a brand known for its high-quality construction and superior performance. 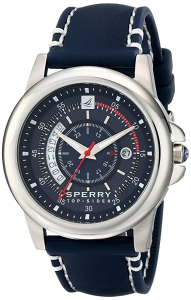 The Sperry Top-Sider Men’s 10018149 Skipper Analog Display Watch provides incredible function with a cool style suitable for daily wear. What makes it the best watch for sailing is its water-resistance up to 165 feet, as well as its durability. With a Sperry watch, it’s easy to keep track of the time and date with incredible accuracy. Durable mineral crystal helps to protect the watch from moisture and scratches. The watch features Japanese quartz movement with a sweeping second hand, and a solid stainless steel case, back, and crown. Sorry we didn’t get back to you in time to help. 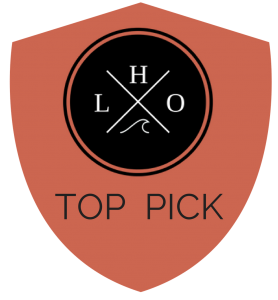 For the future, we have heard good things about Surfection and Surf Dive n Ski. 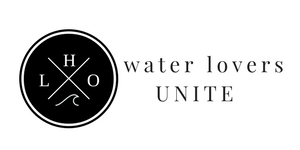 Apparently they both offer a selection of sailing/water gear.